I have a hard time portioning out my meals when I am trying to watch my weight . I never know how much is too much or too little, because I have to guesstimate That may be fine when you're eyeballing ingredients, but not with portion size. 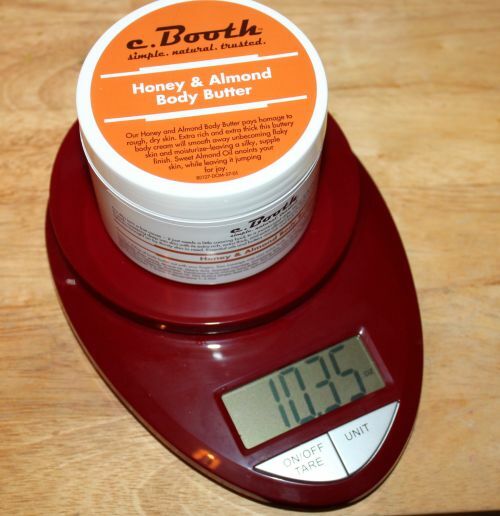 With the eat smart precision scale this nuisance has become obsolete. This scale is perfect for my portion control needs. I just put a handful or cup of fruit or veggies on it and subtract maybe a lb for the weight of the holder as needed. I can get exactly the right amount of food I need without going over or under. What's also wonderful about this scale is that it weighs my packages! I am constantly sending out small to medium things that I sell and this has been a great savior for me. I no longer have to go to the post office and weigh things. I can just have my packages picked up after I print out the labels myself. I know exactly how much my packages will cost to send, whereas before I just had to guess and I would sometimes be off on my estimate and waste a dollar or even more! The scale has a sleek design and it comes in different flattering colors for all decor. I received the reddish maroon one, which was a total surprise. I love it. It fits perfect with my kitchen scheme. I also like the crystal clear digital LCD screen and the different units of measurement, including oz's, lb's, kg's and grams. It will take up to exactly 11 lb's/ 5kg's, which is plenty enough for the majority of packages I ship and obviously food I eat. It also comes with a tare selection. What do I love most about this scale? It's roomy for a small scale! It is about 5 inches across. It takes 2 AAA batteries and that is awesome, considering that the last mini scale I used took one of those hard to get small round batteries. It also ran out of juice VERY quickly. Changing these types of batteries is so easy. I always have some on hand, but I never have the other type when I need them. I think those are more expensive too, if i'm not mistaken. It is made very sturdy and durable from what I can see and feel, but I wouldn't go putting anything heavier than 11 lbs on it. I'm very pleased with this scale and I don't see it pooping out on me any time soon! You can purchase your own for the very decent price of $25 on Amazon. 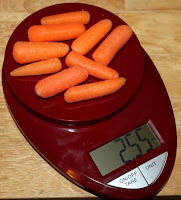 Isn't it surprising when you actually weigh something out how much smaller it is than what you think It really makes you remember how much more you eat before you started weighing your food. Also like that you can weight anything small with it. This is a great way to keep track of food intake!